Yes I am late to the game this year. This post was sitting as a draft waiting for me to update the list by omitting our personal traditions and just make this a list of reference for many. Every year I do get friends and family asking the best holiday movies to watch. A new feature of this list is that I am finally sorting adult movies and kid appropriate movies. Also I am adding a separate list of holiday episodes from television. To begin, lets start with the one of the newer additions to the list. Last year I peddled backwards to the past for new names because the previous year yielded very slim pickings. Thankfully last years movie season has given a handful of great movies to add. First up is the seriously epic, Office Christmas Party. Lets be honest, Jason Bateman’s acting capability was untapped in the 80’s. His career has sky rocketed in the last almost 20 years and this movie is just another stellar edition to career, don’t get me started on his Netflix show Ozark, if you have not seen it, binge watch it. The OFP movie is most certainly geared toward the adult set but the laughs and gotcha moments are extremely entertaining. My suggestion is this film makes a great watch while you are wrapping presents. Another highlight from this film is the amazing Jillian Bell who breaks the mold of the stereotypical pimp. Yes, I said PIMP. OCP is not Bell’s first foray into the xmas movie genre. She also played Seth Rogen's wife in the The Night Before. I didn’t add Rogen’s film last year because while I enjoyed it, it still hasn’t clicked in my need to watch it again and again. 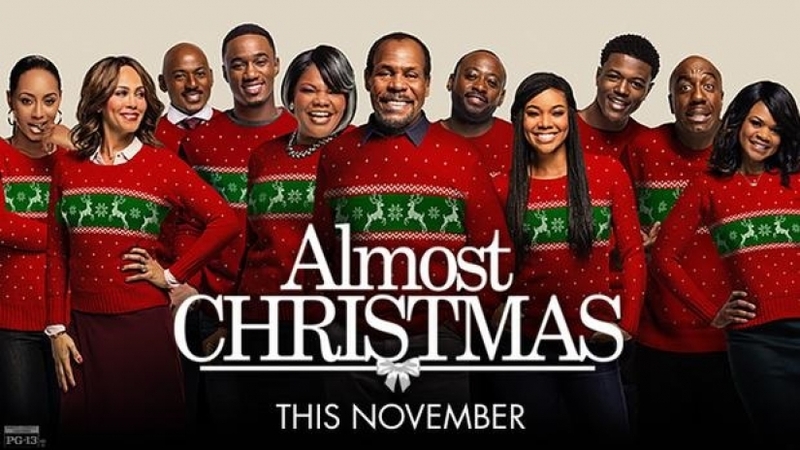 Almost Christmas is making the list because I had to knock another movie off the list. This year I am removing This Christmas, because this is the second xmas in a row I just cannot stomach watching TC with the same love had for it back 2007. My mother recently expressed how much she preferred This Christmas over Almost Christmas which made me realize I don’t like it anymore. Okay, yes there are two things to note about swap out on my list. Is it racial because I am removing one black cast film for another, the answer is no because I am removing at least one other film each year from the list. The list is getting out of hand because I tend to add between 2-4 films each year. While TC was a great movie for its time. I’ve never been able to get past the fact that Chris Brown is in the movie and exhibited serious personalities issues in the movie. Almost Christmas was the answer to my problem and woke me up to the fact I really need to let some movies go back into the world. With AC, Danny Glover, Gabrielle Union and Mo’nique took the family story to a whole new level. The only thing I wish was that Nicole Ari Parker had a stronger role in the film. Parker along with Union are two amazing actresses who deserve so much more, fell in love with Parker when she appeared in Boogie Nights and 200 Cigarets. Speaking of 200 Cigarettes, if you want to spend the evening home watching movies on New Years Eve. Steer clear of all the movie with New Years Eve in the titles and look no further than 200 Cigarettes. This insane movie of one night in New York City was the catalyst to many famous actors careers to date, from Kate Hudson to the amazing Dave Chapelle. Another addition this year is We Are No Angles, not the 80’s version staring Demi Moore but the 1955 version is Humphrey Bogart and my favorite Poirot, Peter Ustinov. The movie is a tale of 3 escaped convicts and road or path of good deeds in a small village after their escape. As I mentioned I wanted to add a few TV episodes to this list and this year my fist pick is any of The Vicar of Dibley holiday episode. Heck lets just say every season, because every season has a little Christmas in it. Most of all, we all need a little Dawn French during the holidays. The smiles alone from her comedic timing is worth it all. Now about that second removal from the movie list, last year I added Love the Coopers but after watching it after a second holiday season, this movie just didn’t live up to Keaton’s original holiday classic The Family Stone. 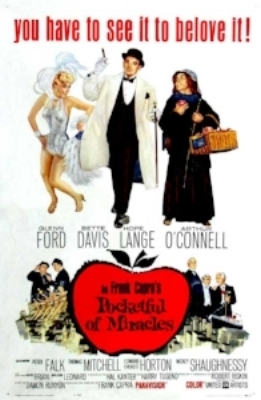 Lastly my final addition this year is another classic Pocket Full of Miracles, staring Bette Davis and Peter Falk. As a kid I loved seeing Davis in this tale of Robin Hood doing the right thing all be it illegally. That’s it for this year. Till Xmas 2018 list, Happy New Year.